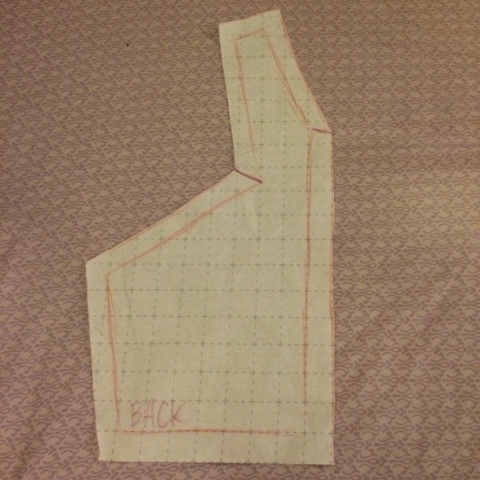 To determine the measurements for my top, I used my dress form and for the bottom length of the pattern, it was half of my body's waistline, so kind of visualize a vertically folded top. 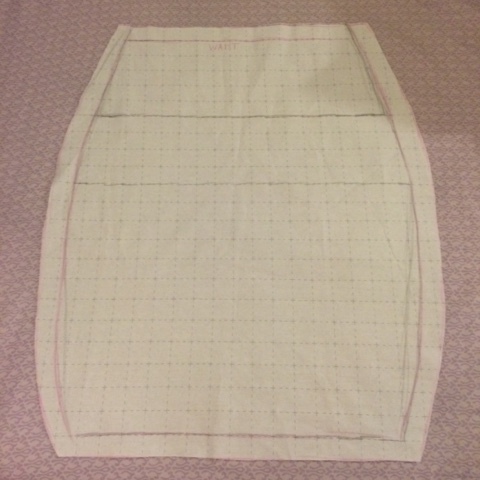 As you can see from the picture above, when you count the squares, it was about 9 inches and I added about 1/2 - 1 inch seam allowance all around. The darker marks are where you can fold over your fabric to hem and sew down. To make these patterns, I used Pliable Pattern. Be sure to check them out! 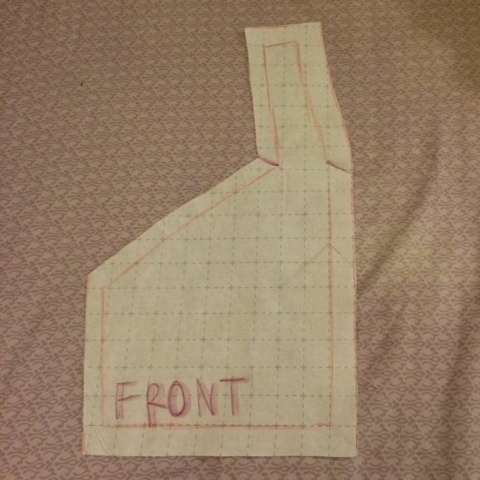 An easy way to make your top's pattern is to trace a crop top or t-shirt you may have, then adjust it from there. For the measurements on the pencil skirt, measure your waist, midwaist, hips, and around your knees. Remember to add enough seam allowance!